Notley claims victory in the courts, but opponents of the Kinder Morgan Trans Mountain Pipeline are not going to just disappear. “Another victory for our economy. Another victory for our climate plan. Another victory for the pipeline and another victory for all Albertans and all Canadians,” was the message Alberta Premier Rachel Notley reportedly delivered at a press conference in St. Albert. Notley was of course referring to the decision by the Federal Court of Appeal to dismiss the British Columbia government’s bid to challenge a National Energy Board ruling allowing Kinder Morgan Inc. to bypass City of Burnaby bylaws meant to block the expansion of the corporation’s Trans Mountain Pipeline. As Kinder Morgan and its supporters in government in Edmonton and Ottawa are racking up the legal and regulatory wins in this pipeline dispute, losses in the courts might do little to stop opposition to the pipeline. Opponents of the pipeline, including Burnaby Mayor Derek Corrigan, have said that despite the court ruling they will continue to oppose the pipeline. 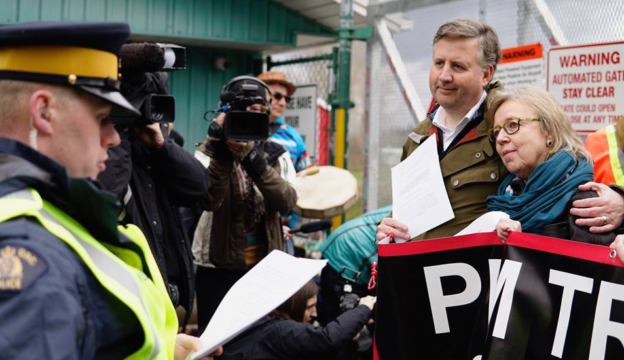 In a demonstration of non-violent civil disobedience last Friday, Green Party leader Elizabeth May and Burnaby-South NDP MP Kennedy Stewart were arrested by RCMP for protesting in a court determined no-protest zone outside of Kinder Morgan’s terminal in Burnaby. South of the border, a Massachusetts judge ruled that more than a dozen protesters who blocked the construction of a gas pipeline were “not responsible” after they argued their actions to try and stop climate change were a legal “necessity.” I do not know if a similar outcome would be possible in Canadian courts, but I suspect we will begin to hear some of the same arguments in the coming months. It is not clear what Neufeld believes “the full weight and power” of the Prime Minister’s Office includes, but aside from Trudeau sending in the Army or suspending constitutional rights of Canadians, we should expect the protests to intensify. The Trudeau government in Ottawa has been clear about its support for the pipeline, but the political calculus, including the 18 incumbent Liberal MPs in British Columbia, has meant most federal pressure on the BC government is likely being applied behind the scenes. Notley was right to point out the contradiction in the BC government’s position opposing the Kinder Morgan pipeline while trying to jump-start the west coast liquid natural gas industry. Just as Albertans have discovered in this pipeline dispute, provincial governments can sometimes be much more sympathetic to their own local industries than the opinions of neighbouring provinces. There are contradictions on both sides of this debate. Opponents of the pipeline are happy to point out the conflicting messages sent by Notley’s government, which pushes the expansion of an oilsands pipeline while lauding its Climate Leadership Plan. The success of the oil pipeline has been made central to the Alberta NDP government’s political future, The awkward shoehorning of the pipeline issue into the provincial budget was the most recent example. It feels unlikely this issue will be resolved anytime soon and, despite rulings in the courts, opponents of Kinder Morgan’s Trans Mountain Pipeline will likely get louder and more determined before the pipeline is expanded, if ever. 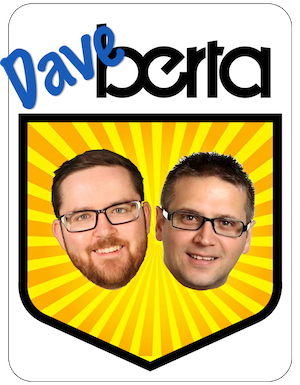 This entry was posted in Alberta Politics and tagged Alberta Budget 2018, Alberta NDP, BC NDP, Climate Change, Climate Leadership Plan, Derek Corrigan, Doug Black, Elizabeth May, Green Party of Canada, Justin Trudeau, Kennedy Stewart, Kinder Morgan Trans-Mountain Pipeline, Oilsands, Rachel Notley, Richard Neufeld, Senate Bill S-245, Trans Mountain Pipeline Project Act on March 28, 2018 by Dave Cournoyer.